Sharon D. Howard currently serves as Director of Communications of the Miami Valley Hospital Campuses, part of the Premier Health system in Dayton, OH. She is a professional with over 25 years of experience in broadcast media, public relations and community engagement. Areas of expertise include: healthcare communications, community development and engagement, marketing, strategic communications, communications consultation and special event planning. Howard is also active in non-profit program participation and corporate board service. She is a requested public speaker and has served as a facilitator/presenter for trainings in: leadership, social media execution, communication and branding. Howard is affiliated with numerous civic and volunteer organizations including Board and Founding Member of the Dayton Area Broadcasters Hall of Fame, the Salvation Army Board of Trustees, Greater Dayton Regional Transit Authority Board of Trustees, Dayton Public Schools Business Advisory Committee, University of Dayton River Park Community Corporation Board, University of Dayton National Alumni Board and the NCAA Men’s Basketball First Four Local Organizing Committee. 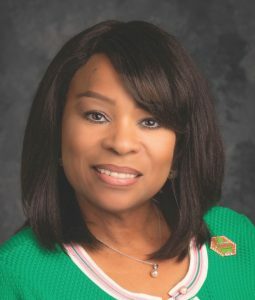 Sharon is a member of Tau Lambda Omega Chapter of Alpha Kappa Alpha Sorority, Inc. and a member of the sorority’s International Connection Committee; member of The Dayton Chapter of The Links, Incorporated; and served 10 years on the Ohio Arts Council. In 2017, Howard was elected to serve on the Ohio Citizens for the Arts Board of Directors. Howard is also a Dayton Area Chamber of Commerce “Leadership Dayton” graduate.